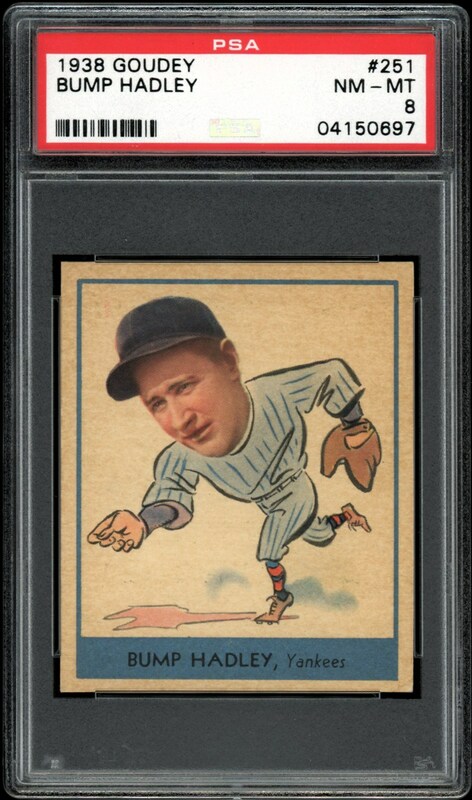 Presented here is an outstanding 1938 Goudey PSA NM/MT 8 cardboard gem of the Yankees right-handed twirler Bump Hadley. One of only seven specimens at this ultra-high plateau, only a single copy has managed to exceed its hallowed assessment. The Hadley black & white portrait pose is encompassed by a sparkling cartoon drawing, with the extremely well-centered image showing no ill effects after 80 years of potential wear. 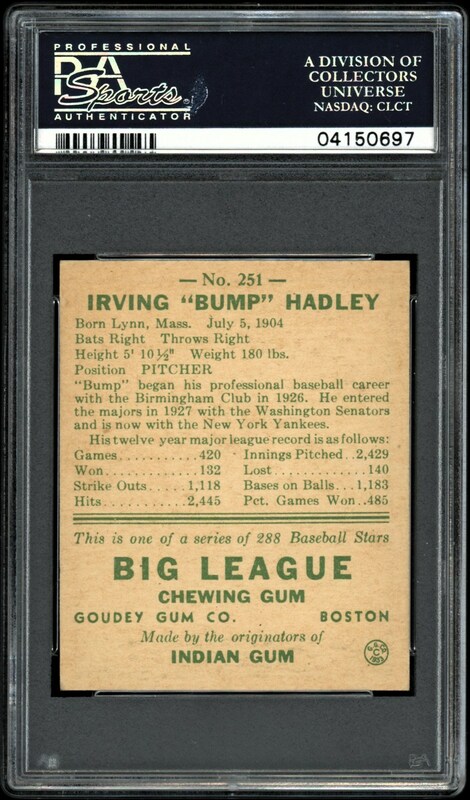 A bona-fide "blazer", it merits serious attention from any sophisticated PSA Set registry collector!